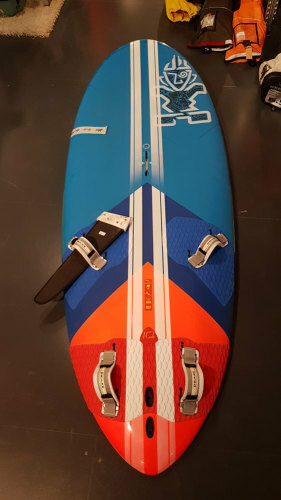 The starboard ultrasonic flax b 2019 is online available and also at the Telstar surf shop . 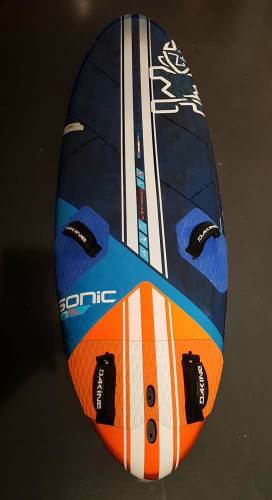 Order this starboard ultrasonic flax b 2019 simply by adding it to your cart. Check out our other Starboard products online. 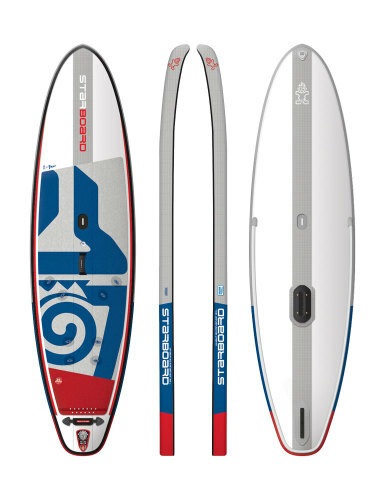 Designed around the concept of Ultra planing: maximum efficiency in the lightest winds. When there are barely white caps on the water, the UltraSonic 147 gets going and flies on the water. With every gust and every wave, you can tune the board to foil up and fly, picking up speed and passing lulls like they’re not even there. The cut-away shapes, combined with the side cut-outs and heel extensions reduce wetted area for the same lift, which makes it more efficient. 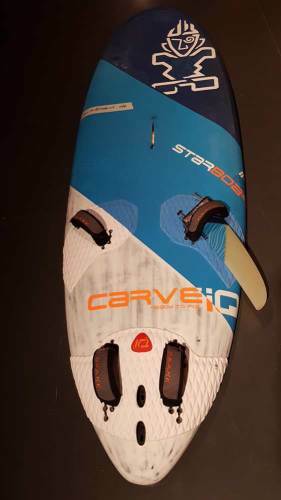 The fin gains traction and the board locks on to its fin. Most importantly, the width of the tail remains identical to provide power, anti-roll stability through chop and acceleration out of a jibe.